Decortication and Delinting plant major deliverable project was to showcase our clients a realistic version of an overseas factory where they would be supplying their equipment to. 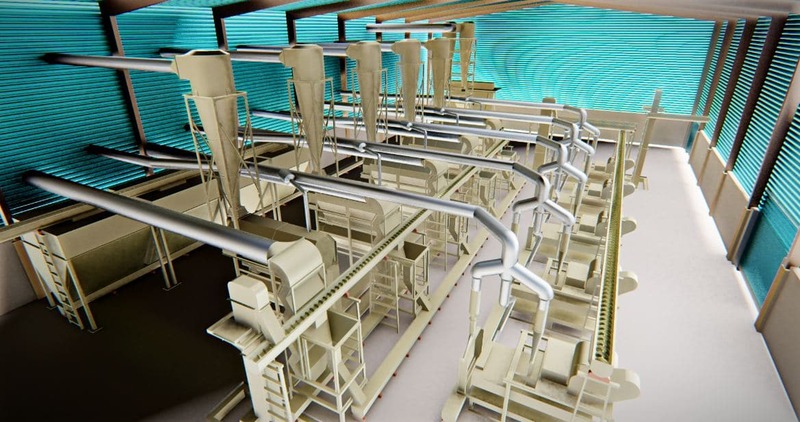 We developed a 3D model, complete with the machines in their respective positions and the system for conveying seeds to various parts of the factory for processing. The inputs provided to us were engineering drawings of the machines that they planned to install in the factory. Along with this they provided general plans and sections of the factory showing relative arrangements of the machinery. 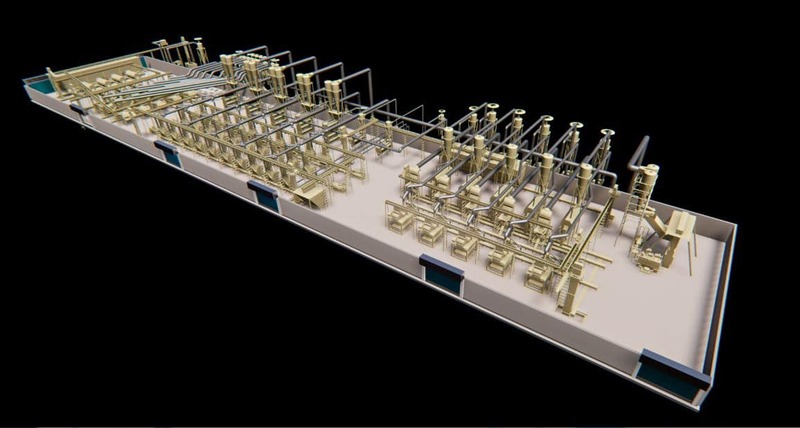 Using this a detailed 3D model consisting of equipment, process piping and conveying systems was designed which aided the client in taking design decisions. 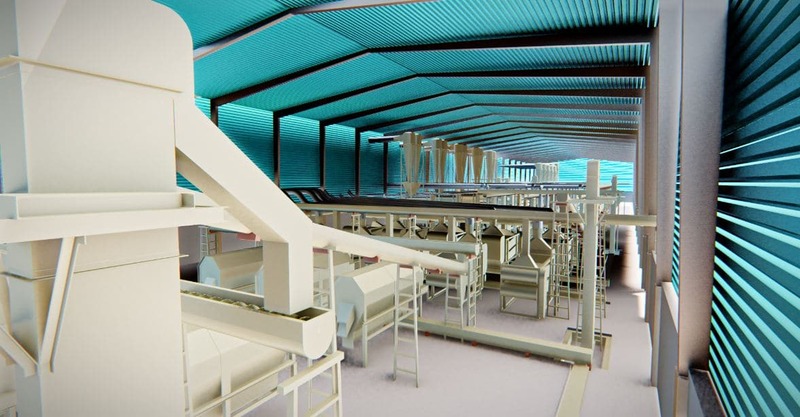 Decortication and Delinting plant is our major deliverable in this project was to showcase our clients a realistic version of an overseas factory where they would be supplying their equipment to. 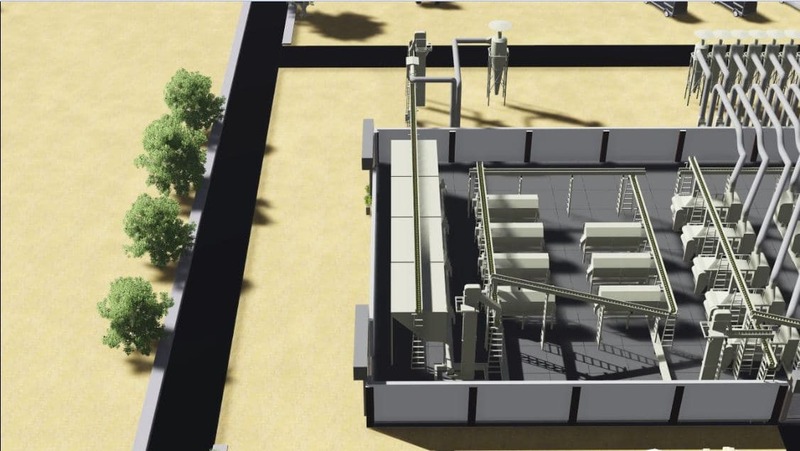 We developed a 3D model, complete with the machines in their respective positions and the system for conveying seeds to various parts of the factory for processing. 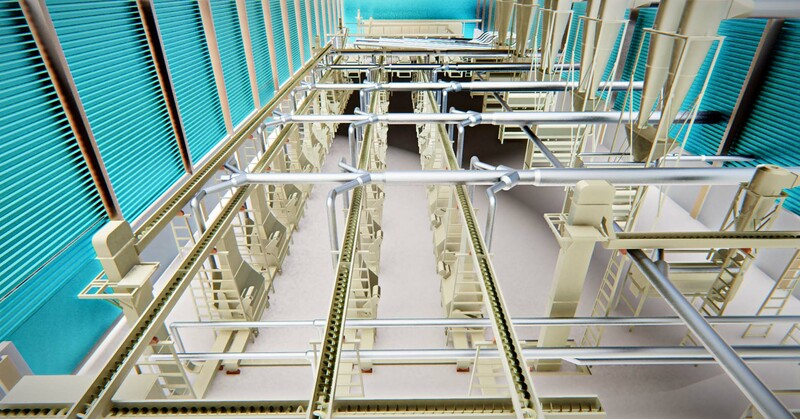 One of our major deliverable in this project was to showcase our clients a realistic version of an overseas factory where they would be supplying their equipment to. 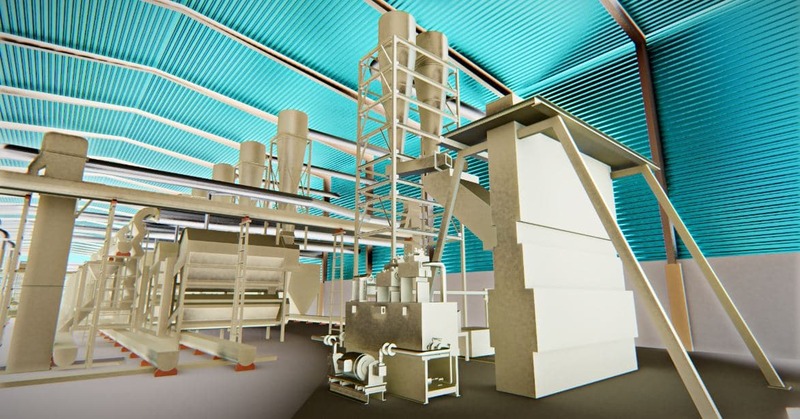 We developed a 3D model, complete with the machines in their respective positions and the system for conveying seeds to various parts of the factory for processing. 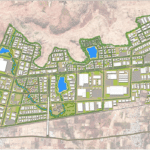 The inputs provided to us were engineering drawings of the machines that they planned to install in the factory. Along with this they provided general plans and sections of the factory showing relative arrangements of the machinery. 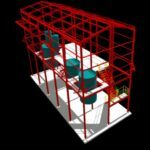 Using this a detailed 3D model consisting of equipment, process piping and conveying systems was designed which aided the client in taking design decisions.